Type: Holotype deposited in the Harberium of the Brigham Young University, collected around the San Rafael Swell, Utah, on the 5.5.1978 by Despain. Paratype deposited in the Herbarium of the Brigham Young University, collected around the San Rafael Swell, Utah, on the 7.5.1979 by Neese & Thorne. 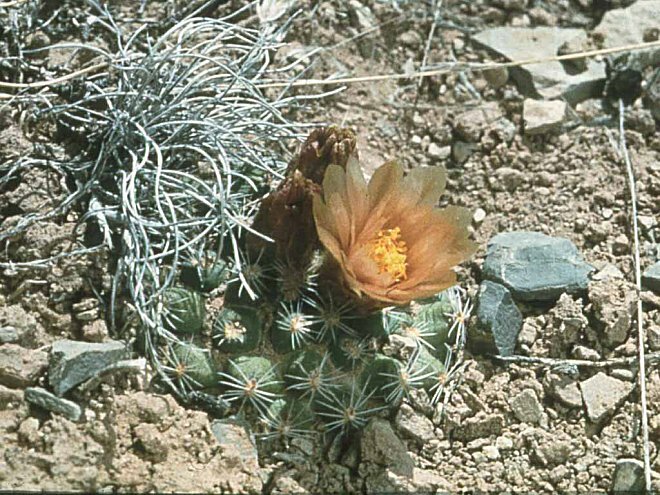 Basionym: Pediocactus despainii Welsh & Goodrich, Great Basin Naturalist, 40:83-86, 1980. Pediocactus bradyi (L. Benson) var. despainii (Welsh & Goodrich) Hochstätter Succulenta, Netherlands, 73 (1):4-10, 1994.
fh 0100.2, Capitol Reef National Park area, 1,800m.